CAMPAÑA INTERNACIONAL CONTRA EL PETRÓLEO DESDE CANARIAS. 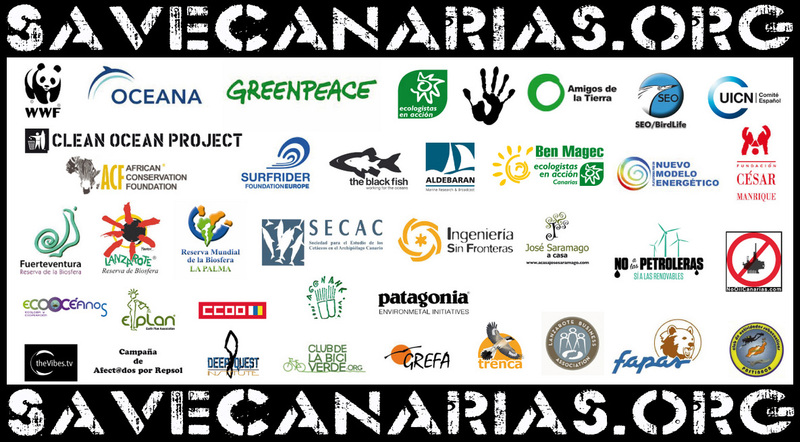 This entry was posted in press and tagged ecologistas, fracking, Greenpeace, José Manuel Soria, Partido Petroleo, Partido Popular, petrolíferas, repsol, save canarias, savecanarias, SEO/Bird Life, terremotos, WWF. Bookmark the permalink.